A Systematic way to increase the Efficiency, Productivity & Accuracy of the Capacitor Testing Dept. 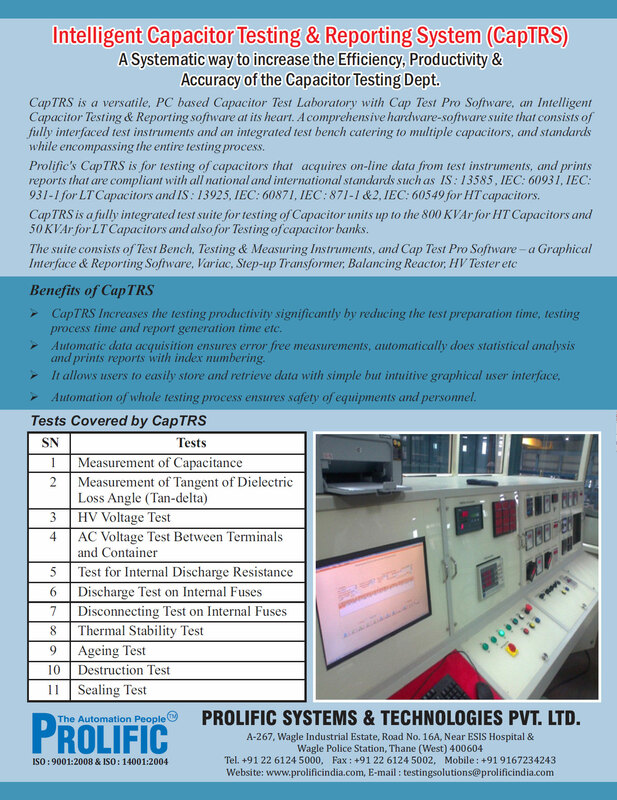 CapTRS is a versatile, PC based Capacitor Test Laboratory with Cap Test Pro software, an Intelligent Capacitor testing & Reporting software at its heart. A comprehensive hardware-software suite that consists of fully interfaced test instruments and an integrated test bench catering to multiple capacitors and standards while encompassing the entire testing process. Prolific's CapTRS is for testing of capacitors that acquires on-line data from test instruments, and prints reports that are compliant with all national and international standards such as IS : 13585, IEC: 60931, IEC: 931-1 for LT Capacitors and IS : 13925, IEC: 60871, IEC : 871-1 & 2, IEC: 60549 for HT capacitors. CapTRS Increases the testing productivity significantly by reducing the test preparation time, testing process time and report generation time etc. Automatic data acquisition ensures error free measurements, automatically does statistical analysis and prints reports with index numbering. 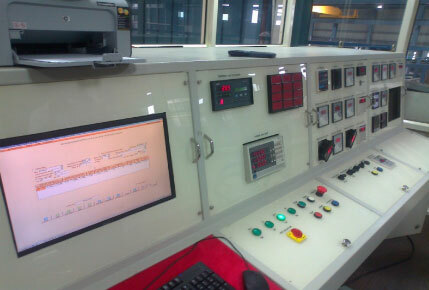 Automation of whole testing process ensures safety of equipments and personnel.